In the subscription business, revenue is no longer solely a finance function. Every business function either contributes to growing positive drivers like new revenue, expansions, and engagement; or works towards controlling the negative influencers like churn and cancellations. 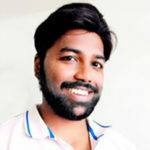 In this interview, Krish Subramanian, Co-Founder & CEO at Chargebee, peels off the interesting layers in the subscription business powered by automation and data science. Krish also dives into their RevenueStory and explains why revenue is no longer solely a finance function. 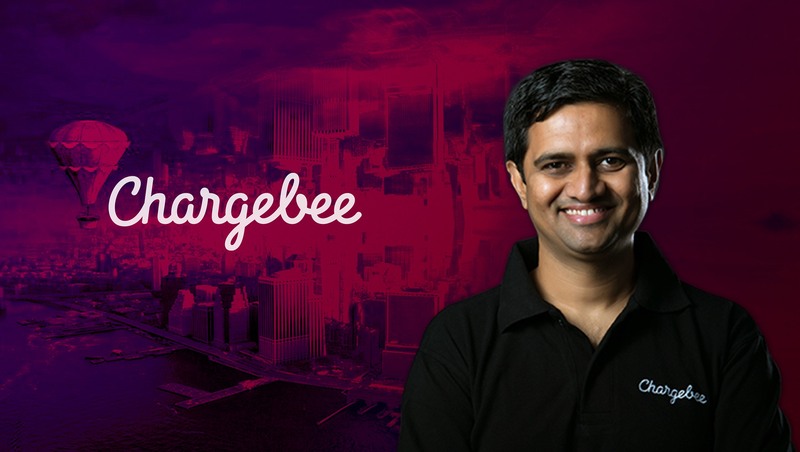 Tell us about your role at Chargebee and the team/technology you handle. I am the co-founder and CEO of Chargebee. Chargebee empowers thousands of global businesses to easily manage subscriptions at scale, automate recurring billing, reduce subscription churn and simplify accounting. The technology behind our solution gives businesses self-service flexibility and control while creating a customer-first experience that helps boost subscription growth. With the rapid growth of the subscription ecosystem, recurring revenue is fundamentally changing the way companies make business decisions. With RevenueStory, we’re extending our solution with a breakthrough new suite of business intelligence dashboards that empower subscription-based companies with unprecedented visualization and insight into revenue-generating activities and growth opportunities. What is the state of automation for SaaS-based subscription and billing management platforms? In subscription management and billing, automation can be thought of as existing on three different levels. First, there are those scheduled workflows triggered by system configurations (a subscription triggers an invoice and an invoice triggers a payment), then there are those triggered by user behavior, and then there is the third type which is about connecting disparate systems to automate information flow. The first level of automation is fairly mature in the industry; it’s also the easiest to automate. When it comes to triggering an automation based on human behavior, regular and intuitive use cases are easy to capture. However, it takes a while before exceptions come to light, and exceptions are automated only when they become the norm. Anticipating all the exceptions right when you start, is hard. More importantly, these premature automations are often not worth the cost. For the third level, which automates cross-system connections, an initial prototype should suffice for most parts, until the processes reach a level of maturity that warrant large-scale automation. So the real question is: what’s the acceptable level of automation required for businesses? The level of maturity of the automation depends on the nature of the company at any given point. For instance, for a majority of Chargebee’s customers, their business models revolve around an assisted buying experience that requires automation to enable self-service. In these cases, the automation necessary between a CRM and subscription management system is limited since the sales force is not an integral stakeholder in the subscription experience. Whereas on the accounting side, the maturity required for automations with the billing system is high due to the volume of customers being processed. So, when should you choose to automate something? When the automation starts becoming a necessity. In the billing space, on a scale of 1 to 10 on maturity, I’d say systemic automation is at an 8, user-behavior triggered automation is at a 5, and an automated connection between systems is at a 2. What are the core tenets of your RevenueStory Analytics? How can B2B tech vendors better benefit your new product? In this environment, the traditional approach to business intelligence — simply stacking increasing amounts of data to drive decisions — no longer cuts it. RevenueStory directs users to see the right data through the right lens. With dashboards tailored to business functions including founders, finance, customer success, marketing, product and sales, RevenueStory reconciles disconnected data and ties it to revenue to isolate growth levers that are uniquely relevant for each specific business function to act on. We built RevenueStory based on the insight we gleaned from manually generating thousands of reports and analyzing them for our customers using spreadsheets, over the last four years. As a result, we have deep knowledge about the kind of metrics that subscription businesses really need today, and how they should be making decisions based on them. As a result, RevenueStory offers specialized dashboard templates for each function in an organization that needs to consume revenue metrics, with the ability to combine and visualize the data that apply to them. Using these out-of-the-box templates, subscription businesses can access key insights into revenue-drivers, subscriptions, sign-ups, activations, customer churn and a host of other metrics that they require for day-to-day and long-term strategic initiatives. What does your product roadmap for 2018-2020 look like? Our focus has always been on enabling better subscription experiences. This requires peeling the layers of conventional perspectives, for example, billing as an internal-looking operational issue, and revealing their role in delivering a delightful end-user experience. Chargebee’s roadmap continues to be derived from obsessing over the end-customer’s subscription experience. RevenueStory is another significant step towards that. Talking about revenue-driving metrics, could you extrapolate further on what insights you deliver to customers? Subscription-based businesses can fluctuate dramatically, making it important for companies to quickly analyze business across any time domain — and in real time — in order to gain actionable insights. One of the most powerful aspects of RevenueStory is how it enables you to view your revenue metrics across a variety of perspectives, so you can get a complete picture of the truth beneath them. For example, a basic metric that most subscription businesses look at to gauge their growth is Net MRR Growth – the net increase or decrease in their monthly recurring revenue in a given time period. Say, a business has a drop in their Net MRR Growth. From here, RevenueStory lets the business investigate if the issue is a drop in new revenue, weakening expansions, or a sudden rise in churn. From here, the business can dive in deeper – into the components that make up each of these and see if these numbers were one-off events or the result of a larger trend. Finally, it can dive in further and analyze if, for example, the increase in churn comes from new customers canceling early in their tenure – pointing to a sales and value-alignment problem, or from seasoned customer cancellations – which could imply a more fundamental product scaling issue. To what extent can subscription platforms, by offering analytics, further boost sales? There are gaps in the market that need to provide value to customers. RevenueStory is an extension of Chargebee delivering value to our users. We were delivering analytics to our customers before as well, manually. Today, we’ve reached a stage where we are ready to take the insights we’ve learned to scale. However, our goal with RevenueStory is to enable more subscription businesses to analyze the right set of metrics and grow faster. By keeping the base version of RevenueStory completely free, we have made a conscious effort to focus on enabling the market. For a subscription business, revenue analytics offer powerful insights into growth and sales. Subscription and billing systems are uniquely positioned in a business’s stack, flanked by the product, the customer and the bank on three sides. The analytics that a billing system can provide therefore can uncover the causality behind revenue as opposed to proxies like product usage and click tales that traditional analytics provide. And, what it uncovers can provide strategic direction for various business functions from customer success, marketing, product, to sales. How do you work with Data Science and AI/ML to improve your revenue platform? Each day, we log more than 8GB of information about interactions between our customers and their end-users. Due to the sensitive nature of the information, we have different access levels. Today, data science plays an important role in informing our roadmap. Our capability to build our new modules better is partly derived from knowing what happened previously. We act on a powerful data set, especially when it comes to revenue recovery, payment performance etc. We’re forming our own team for the same. Thank you, Krish, for chatting with us about your product roadmap for 2018-2020 and your insights on automation and data science-driven revenue management systems.